SUNDAY WORSHIP - 10:30 a.m. - You are welcome at United Church! The church is located at 430 Morris Avenue in Rockville Centre. Join us for Sunday worship at 10:30 a.m. at 430 Morris Avenue (at the corner of Princeton Road) in Rockville Centre, New York. Plan for about an hour! You're invited to a time of fellowship following worship with coffee and conversation. Looking for a place to explore your faith? 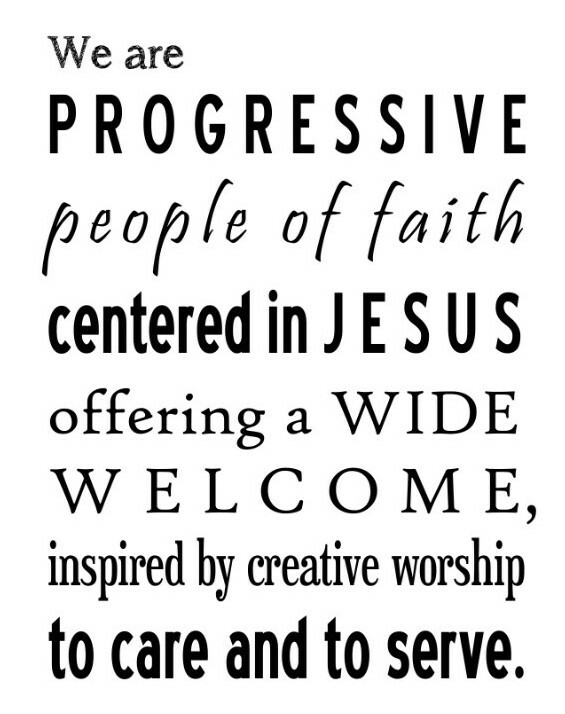 United Church stands ready to welcome you and to encourage you to proceed at your own pace. Hang back or jump right in, or do a little of both. Access immigration Biblical verses here. Scroll down this page for more news from the United Church of Christ. Want to know more? Reach out to us by email. Still wondering if this church is for you? Maybe you've been away from church for a while. Maybe you've never been associated with a church. Maybe you're wondering if you'll fit in/find a place of love/be fully embraced. We urge you to give United Church a try! We're small, so that makes us feel like family. But, we realize that worshiping in a "family" church is tough. When you're visiting, you might feel as if you've been invited to a party where you don't know anyone! But, we want to make it easier on you. Sit where you're comfortable. Participate as you feel called, or just sit back and take it all in. Talk with Pastor Scott after worship. Ask questions. We don't want our "family" church to be a negative on your relationship with God! We want it to enhance that relationship! We're praying for you. We'd like to do it in person. Why not drop by this Sunday?